Imagine a perfect Christmas morning, excited children, unwrapping the gifts from their stockings, the delicious aroma of a perfect lunch cooking and a box of chocolates just peeking out from under the Christmas tree. Because Father Christmas knows that everyone loves to unwrap and share holiday chocolates from Chocolate Country. It’s the season for giving gifts, and at Chocolate Country we have everything you need for the perfect Christmas, with our lovingly, expertly hand-crafted Belgium chocolates this holiday season. 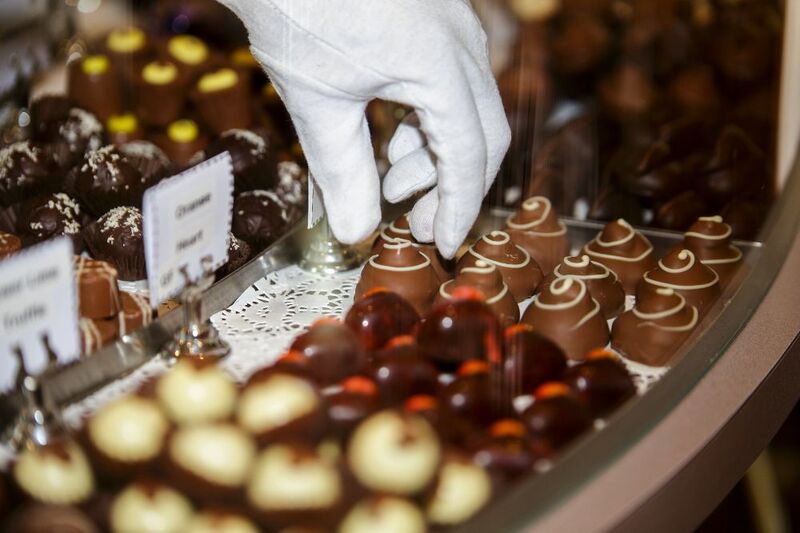 From heart shaped delights, fruity pralines and delicious truffles, there is something to delight everyone this Christmas morning on the Sunshine Coast. Whether you are watching that Christmas movie that the kids never tire of, celebrating a festive toast with friends or curling up on the sofa, Christmas chocolates make the ideal, luxury treat. With your special loved one in mind, we have an amazing selection of chocolate treats to choose from for a perfect romantic delight. With the help of Chocolate Country, say thank you this Christmas with one of our romantic options. Our award winning gift boxes such as The Persuader, The Charmer or The Alurer are the perfect gift for that person you just can’t get out of your mind. You know you will be giving a Christmas gift that is the best in the world for the person that is the best in yours. Chocolate is probably high on every child’s list of favourite Christmas treats, and ours too! If there is one way to make your kids happy, is to give them a chocolate gift. At Chocolate Country, we offer a range of chocolate slabs and novelty gifts, lovingly hand-crafted in store by our very own Chocolatiers. We also produce a fantastic selection of tasty fudges that are sure to delight and impress. Give them a little taste of our luxury chocolates as a stocking filler, or as a special thank you gift. At Chocolate Country, we guarantee that our gifts made only from the finest high quality Belgian chocolate will be sure to delight anyone who receives them as a Christmas gift.